Guinness is worth waiting for. 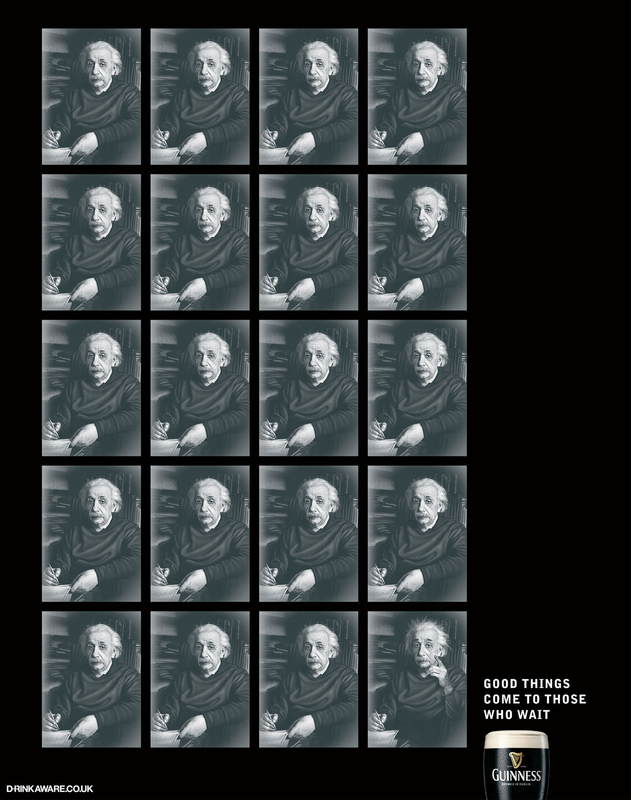 That’s the message reiterated in this print advertisement featuring Albert Einstein waiting for a moment of discovery. Finally, he lifts his finger. The text: “Good Things Come To Those Who Wait”. The associated web site: www.drinkaware.co.uk. The Einstein ad was developed at Abbott Mead Vickers BBDO, London, by creative director Paul Brazier, art director Christian Sewell, and copywriter Andy McAnnaney.